This weekend, MotoGP heads from the Middle East to South America for round two but it’s more than simply a change of scenery. Heat is now partnered by humidity, the floodlights of Losail are a distant memory and the record books see a switch around, for Termas de Rio Hondo, east of the continent’s backbone of the Andes and a far cry west of the pampa, traditionally has one man setting the pace: Repsol Honda’s Marc Marquez . But pace, history shows, is not always the winning ingredient. 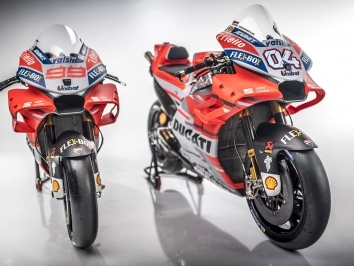 And by Wednesday morning, we should know the result of the FIM Court of Appeal’s decision on whether Ducati’s swingarm device is legal or not. From 2014 to 2017, Marquez started from pole in Argentina, and in both 2014 and 2016 that was the first battle cry before the reigning Champion took the win. But in 2015 the number 93 clashed with Valentino Rossi and crashed, and in 2017 both he and then teammate Dani Pedrosa both slid out of contention – Marquez from the lead. Last season amped up the drama even further as Marquez’ race went from disaster on the grid to failing to score after three penalties and another clash with Rossi – this one seeing the ‘Doctor’ hit the deck – but there was another undeniable fact amongst the drama: the Repsol Honda rider’s speed. It’s not just Marquez who has shown good pace at Termas de Rio Hondo for Honda, however. 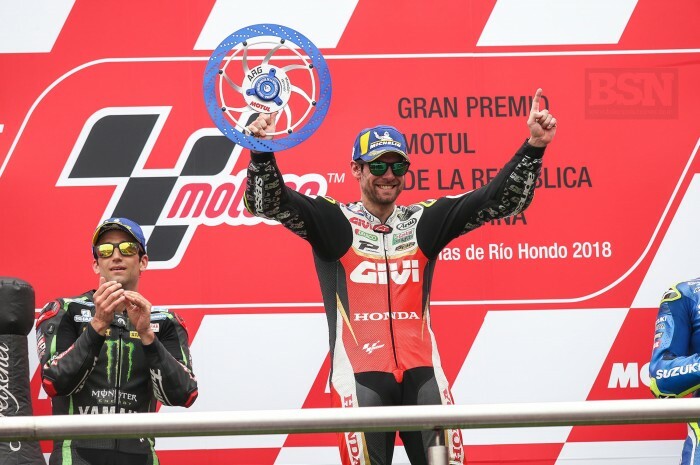 The aforementioned Pedrosa took some top results and LCR Honda’s Cal Crutchlow took two podiums even before his stunning win in the chaos of the 2018 event. That bodes well for both him and new arrival at Repsol Honda Jorge Lorenzo, himself a podium finisher at the track previously, as the number 99 battles to improve upon a tough season opener in Qatar after a huge highside left him bruised for race day. That’s without remembering the five-time World Champion remains in recovery from a broken scaphoid. 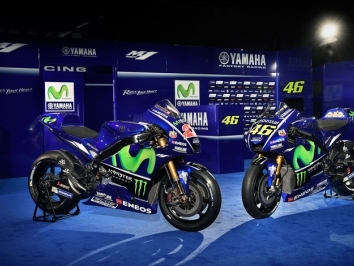 After said Qatar race day, Yamaha will also be looking to improve upon round one but their record in Argentina makes for good reading. 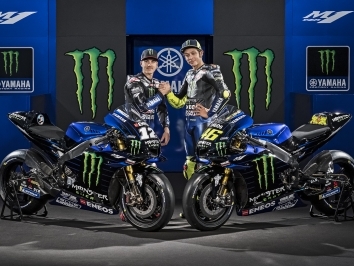 Rossi won that 2015 event, who could forget, and Monster Yamaha team-mate Maverick Viñales took victory in Argentina in 2017 as part of a triple threat of wins to begin the season. The Iwata marque will be hoping for more of that and less of the struggles they encountered last year. With Franco Morbidelli (Petronas Yamaha) and team-mate Fabio Quartararo also on 2019 machines it’s a big push, and in Qatar certainly the two Independent Team riders kept them more than honest at times. Quartararo, forced into a pitlane start after stalling on the grid, was the fastest man on track for much of the Qatar GP – the rookie has most definitely arrived. Meanwhile at Ducati, it was 25 points to begin the year in style for Andrea Dovizioso as the Italian once again outwitted Marquez at a final corner. Last season it was a similar story in round one, but then it was two more difficult weekends for the Borgo Panigale factory rider. Will that remain true in 2019 and see ‘DesmoDovi’ racing for damage limitation before we head into the meat of the season in Europe? Or was Qatar not quite the whole picture? New team-mate Danilo Petrucci will be hoping it wasn’t but for different reasons as the Italian was left disappointed in sixth, so a push to reassert some of his preseason pace can be expected too. 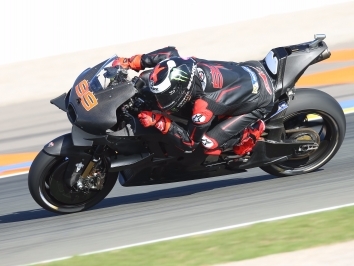 Likewise Jack Miller (Alma Pramac Racing), who had seat trouble that took him out of Qatar and was fourth from pole in Argentina last year, and his new rookie teammate Francesco Bagnaia, whose pace from the Sepang test went a bit AWOL in the season opener. Argentina has been a tough venue at times for ‘Pecco’, but MotoGP is a different ball game. Despite the longer track records of others, Alex Rins could actually prove the biggest threat to Honda in Argentina though. Fast in testing, fast at Losail and only just off the podium, it was a good start to the season – and Termas de Rio Hondo is where the Suzuki rider took his first ever premier class podium. On a streak of top six finishes in the last eight races, do not count out Rins as the former Championship contender in the smaller classes continues coming of age in MotoGP – and some speed from rookie teammate Joan Mir can likely be expected too. Mir shone in his first premier class race and he’s won at the venue before in Moto3, from 16th on the grid no less. The cast of riders fighting within that top ten doesn’t stop there. Aleix Espargaro (Aprilia Racing Team Gresini) will be gunning to tame Termas and take a few more points than his tenth place in Qatar, team-mate Andrea Iannone was nearly on the podium there previously although on a different bike. Johann Zarco (Red Bull KTM Factory Racing) has rostrum form, too. The Frenchman took a point on his KTM debut at Losail, but he’ll be pushing to get more on a par with teammate Pol Espargaro as he gains more experience. Espargaro was 11th last year in Argentina and started this season with a 12th in Qatar, but the gap to the front was smaller again. So what can he do? And can rookie Miguel Oliveira (Red Bull KTM Tech 3) keep the KTM veteran honest as he threatened to do in an impressive season opener? 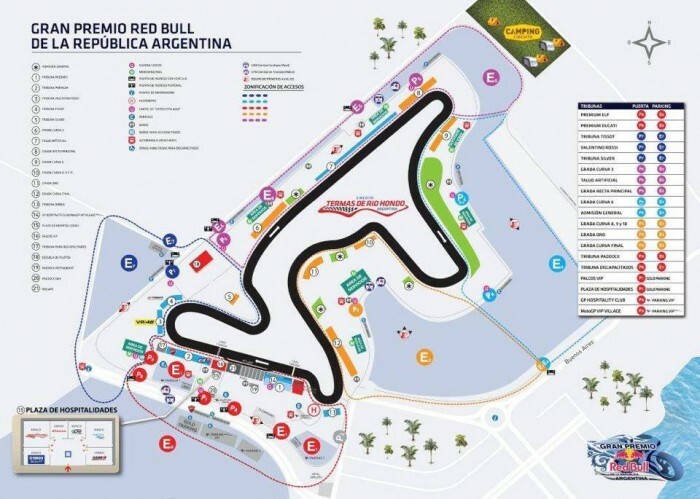 After the closest ever top 15 in Qatar, tune in for the Gran Premio Motul de la Republica Argentina at Termas de Rio Hondo on the 31st of March as MotoGP tango to the beat of a different drum and history saddles up to be made once again.